The Bloomzed Mobile wallet is a universal payment instrument. It works with all currently existing financial instruments, such as bank accounts, payment cards, electronic wallets, international money transfer systems, fiat currency, cryptocurrencies, etc. Currently, the Bloomzed mobile wallet has the maximum functionality out of all similar products in the world market. The main product of the project is its own mobile application- a multifunctional payment instrument of the new generation that works with a smartphone and is an electronic wallet that allows to pay for services, transfer money, link payment cards and use additional services. The application provides users with wide opportunities in terms of not only electronic payments, but also the comprehensive management of personal funds. 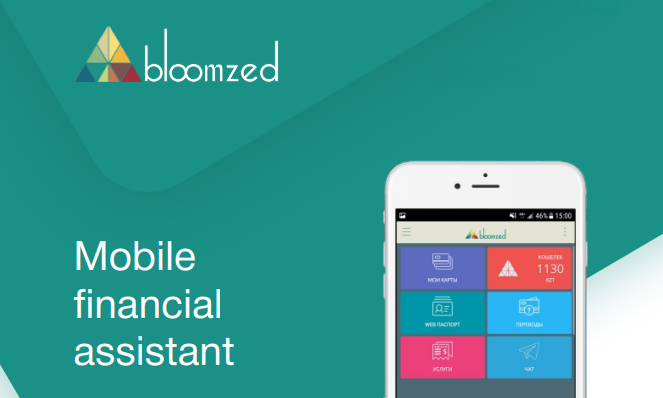 Thus, the Bloomzed mobile service will become a reliable and convenient assistant in everyday payment operations. Bloomzed Token (abbreviated as BZT), is a membership token, the purchase of this token makes buyer a member of the Bloomzed Crypto Club and provides the right to receive all relevant bonuses and benefits, the amount of which is determined by the number of BZT of a particular token owner. Token Generation Event (TGE) is the name of the primary sale of BZT membership tokens, required to participate in Bloomzed Crypto Club. The distribution and circulation of all BZT tokens is done via the use of smart-contracts (ERC 20 standard). In order to raise money for this project, the company will be using a token sale event to help meet its financial targets. As is clear by now, the company is offering its customers BZT membership tokens, which will be required to participate in the Bloomzed Crypto Club. In all, there will be 100 million BZT to be issued. There will be two distribution rounds: Phase 1: The sale has already ended. It started on the 19th of December 2017 at 12:00 UTC+3, and ended on the 26th of December 2017. There was a hard cap of 5 million BZT during this period. Phase 2: The sale period is scheduled to begin on the 17th of January, 2018 (12:00 UTC+3), and go on till the 17th of February 2018. During this period, there will be a hard cap of 45 million BZT. The cost of the token is 1 BZT = 0.002 ETH. The minimum number of tokens for purchasing is set at 250 BZT, which is equivalent to 0.5 ETH. The limited supply of the BZT with the vision, ambition and the amazing technology behind this project make this ICO an opportunity you would not want to miss! Take a Step now!